While there are many tips that people might give you to pass the driving test, we’ve narrowed it down to just the 3 most important tips – the ones we believe you should focus on most. Of course this is assuming that you’ve already practiced driving significantly and are on track to become a safe driver. There’s no better way to practice for a test than to do a test much harder than the actual test. If you’ve ever studied really hard for an exam only to find out that the questions were much easier than the work you did, you would know the feeling of relief knowing you were prepared. That’s why we have a special program called the Trent On Road Test (TORT), Trent’s very own practice test designed to challenge a learner driver’s skills to the best of their ability. TORT aims to simulate the test environment as well as possible routes and provides students with as many difficult situations faced in the driving test as possible. During this experience, students will be able to not only be comfortable with driving without assistance but also gain the mental strength to face nerves on test day. The test is 25–45 minutes long depending on traffic and the route and aims to create an environment as close to test day as possible, providing learner drivers with the confidence and preparation to ace the driving test. Furthermore, Trent has devised a score sheet based on key competencies required to pass the driving test as well as a process for the trainer to provide detailed feedback on what needs to be improved. 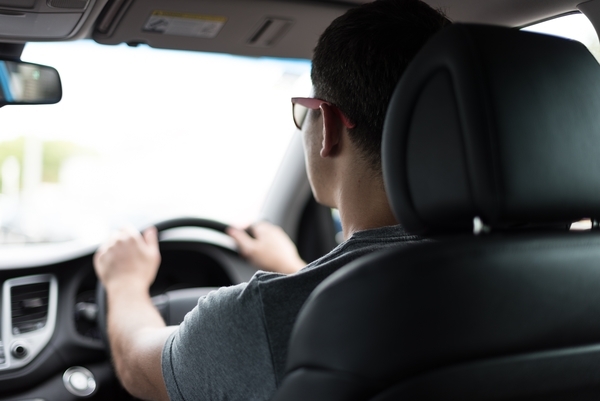 Arguably the most difficult part of passing the driving test is manoeuvres as while you may have had hours upon hours of practice driving on the road, you would have had to specifically take time out of driving to practice manoeuvres. Notably, the three manoeuvres you absolutely need to know for the exam are the kerb side park, three-point turn and reverse parallel park. While these are probably known to you, it might not be obvious to spend entire practice sessions dedicated to simply practising manoeuvres. It’s important that not only do you consciously know how to do these manoeuvres, but you’ve intuitively learnt them for the test so that you can confidently perform them at ease. When you wake up in the morning, you probably immediately go to brush your teeth. That’s because it’s a habit you’ve learned from practicing for years. You don’t even need to make a conscious effort to do it. You want to practice manoeuvres until you reach this point of confidence. One tip that might seem arbitrary at first would be to drive around the suburb of your testing centre. To understand why this is important, it’s crucial to see what would happen if you were driving in a suburb you were unfamiliar with. If you were in an unfamiliar suburb with superb driving skills, you’ll probably be fine. But since you’re a learner driver, you probably want to practice as much as possible so you have the best chance of passing. Even confident drivers will tell you that driving around an area that they know is significantly easier than driving around an area you don’t know. This is because your subconscious intuitively learns how to drive in an area if you’ve driven there before, and you’ll be performing actions you’ve done before. It would be as if you’re taking an exam before you’ve actually taken the exam itself — it’s much easier. Book your TORT lesson here or speak to us on 02 8748 4500.